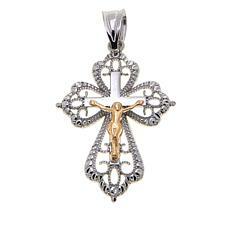 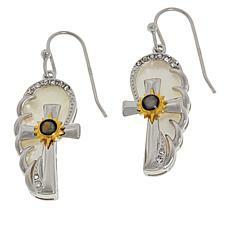 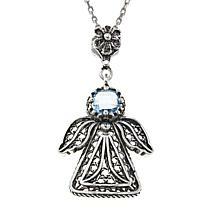 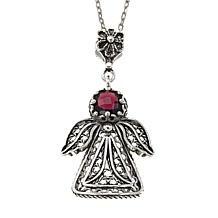 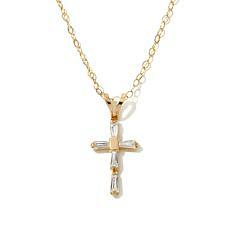 A chic testament to your faith, this intricately designed cross pendant glitters with a genuine diamond accent. 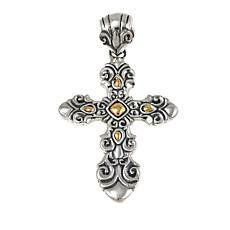 Design Information Yellow Technibond openwork "looped" cross pendant Single diamond accent at center Good to Know These diamonds are of promotional clarity. 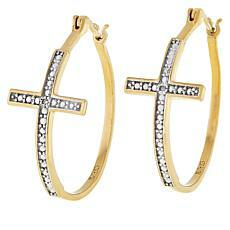 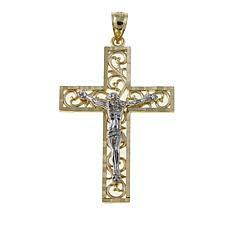 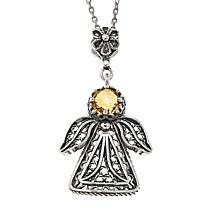 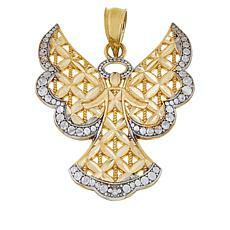 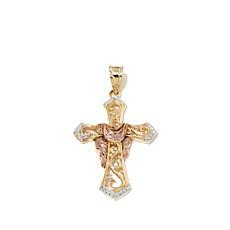 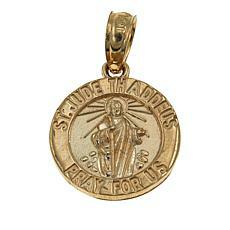 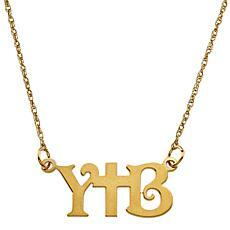 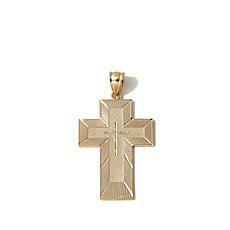 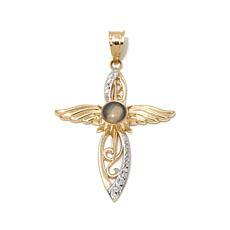 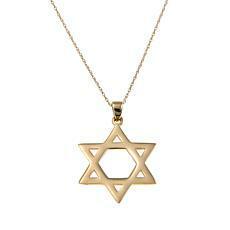 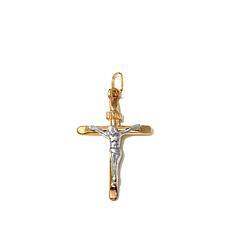 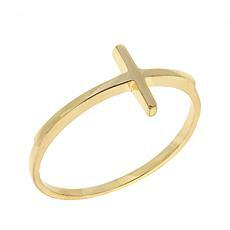 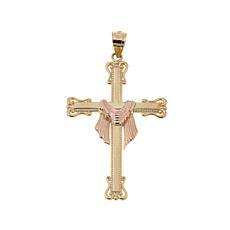 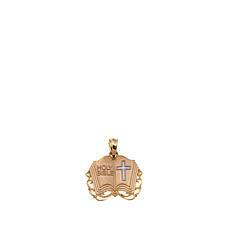 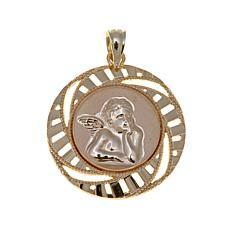 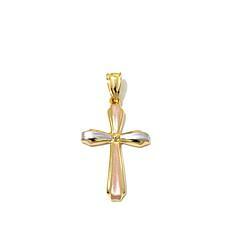 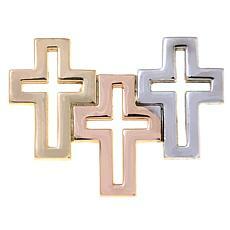 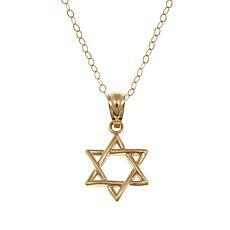 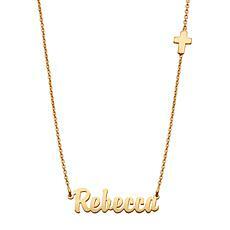 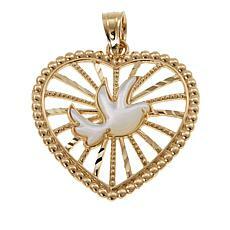 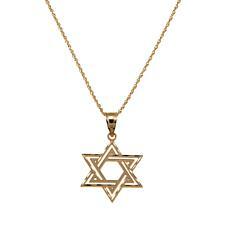 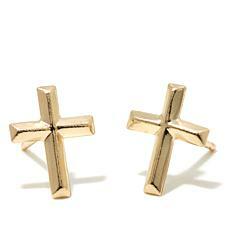 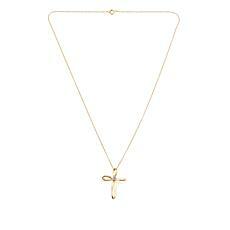 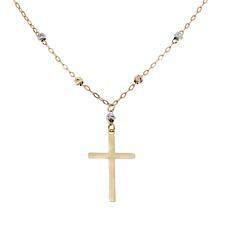 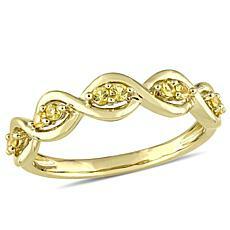 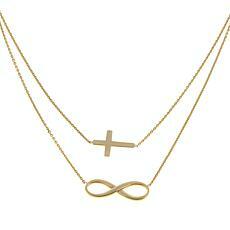 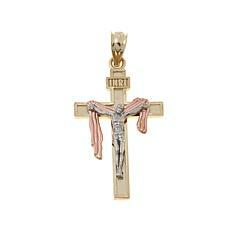 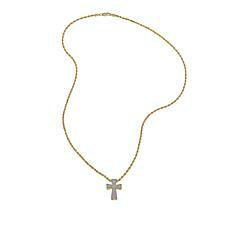 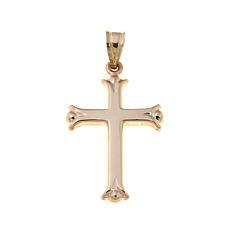 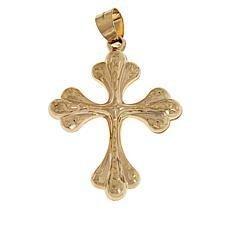 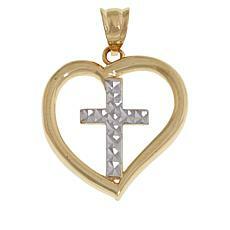 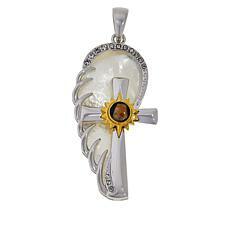 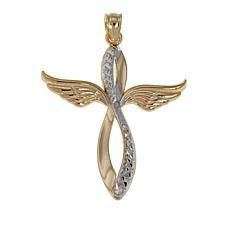 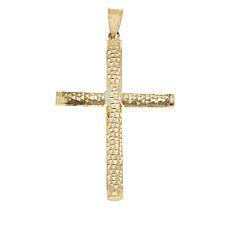 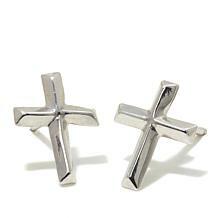 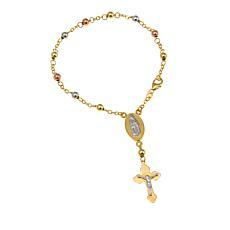 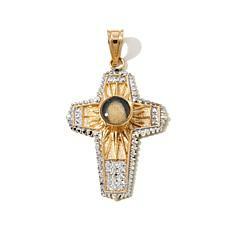 Keep a sacred symbol of your faith close to your heart with this versatile, yellow gold cross pendant. 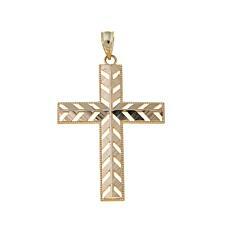 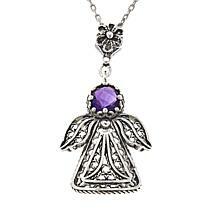 With a diamond-cut texture on one side and a polished finish on the other, this versatile piece is great for easy, everyday accessorizing.